A 1991 graduate of Southern Illinois University, Charlie is a licensed funeral director and embalmer. He holds degrees in business management and mortuary science. 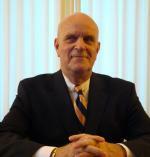 Charlie purchased Hartzler Gutermuth Inman Funeral Home in February of 2011, relocating from Marion, Indiana where he owns the Raven-Choate Funeral Home. He is the proud father of his daughter Sydney. Charlie is a member of the Masonic Fraternity, Elks, Moose lodge and Lions Club. 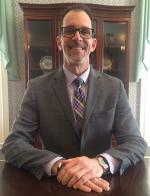 A 1989 graduate of the Mid-America College of Funeral Service, Kevin joined the Hartzler-Gutermuth Funeral Home in 1987, prior to attending mortuary college and then returned upon graduation. Kevin was employed here for 16 years and then returned in January 2015 after 11 years with Hahn Funeral Home in Mishawaka, Indiana. An Elkhart native and veteran of the United States Army, Kevin has three children: Nicholas, Ryan and Allison. He is a member of the Elkhart Noon Kiwanis Club, the Knights of Columbus, Elkhart Moose Lodge and the Italian-American Relief Association. A licensed insurance agent, Kevin also helps families who wish to make pre-arrangements. 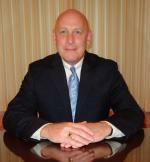 Dave is a funeral director assistant and has been with Hartzler-Gutermuth-Inman Funeral Home since 2006. He was born and raised in central Illinois and moved to his home here in northern Indiana in 1990 upon graduation from Southern Illinois University, in Carbondale. Dave is a member of St. Thomas the Apostle Catholic Church, he is an avid sports fan and enjoys spending time with his wife Jo Ann and two children Mitchell and Kyle. A 1971 graduate of Indiana College of Mortuary Science, Bill joined the Hartzler-Gutermuth Fuenral Home that year. In 1994 he purchased the funeral home at which time it became Hartzler-Gutermuth-Inman Funeral Home. Bill has enjoyed 41 years of serving people of Elkhart. He has been married for the past 31 years to Jolynn (Erb) Inman and they have two children Dr. Sarah Inman of Australia and Grant Inman of South Bend, Indiana. Bill is currently not only handling at need families but is assisting the funeral home with its pre-need services.